Artistic rendition of the AMAZONAS-5 satellite on orbit. SSL is relishing in the fact that the multi-mission Amazonas-5 satellite, designed and built for HISPASAT, was launched yesterday and is successfully performing post-launch maneuvers all according to plan. The satellite deployed its solar arrays on schedule following its launch aboard a Proton Breeze M launch vehicle provided by International Launch Services (ILS) — the satellite will begin firing its main thruster tomorrow to propel the spacecraft toward its final geostationary orbit. The satellite will be used for video content delivery and internet connectivity in Latin America. Amazonas-5 has 34 Ka-band spot beams and 24 Ku-band transponders, which will be used for broadband internet services, television, corporate networks, and other telecommunications applications in Brazil and Latin America. With this new satellite, the HISPASAT Group will help provide connectivity services to more than half a million people in Latin America and Brazil, and will enable broadcasting 500 new TV channels. 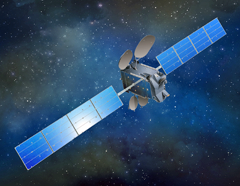 Amazonas-5 is the third satellite that SSL has provided to HISPASAT and the company is also building HISPASAT 30W-6, which is expected to launch later this year. SSL built Amazonas-3, Latin America’s first satellite with a high throughput payload for broadband internet, and HISPASAT 30W-5, which was launched in 2010. Based on the SSL 1300 platform, Amazonas-5 will be located at 61degrees West and is designed to provide service for 15 years or more. 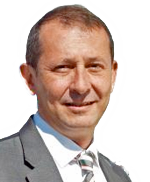 Dario Zamarian, group president, SSL (photo to the left), stated that the company is focused on technology advances that drive value for customers and help to maintain satellite’s important role as part of the world’s greater telecommunications infrastructure. With Amazonas 5, SSL has provided a satellite with state-of-the-art technology for advanced television services and fast and affordable broadband. Carlos Espinós, the CEO of HISPASAT (photo to the right), added that SSL has been an innovative and reliable manufacturing partner — the Amazonas 5 satellite will help the company to meet the demand for advanced television services and fast broadband in Latin America.